I was waiting for this to come out in one piece. It is a great series and I am sure reading it as a whole piece will make even more sense out of all this backup. I’d love to see a follow up with selected readers comments, there were a few really great ones. I had considered including selected reader comments in the eBook, but once I saw that the content alone made up 40 pages I figured it was best to leave them out. I’ll have to think of something to highlight the good ones. Thank you for having this all in one piece. I have 3 external drives and now I think I am in the market for new computer. I need to save to dvd’s and that is my down fall at the moment as more and more folks are telling me that the eternal drives do not last very long. I have enjoyed the read and thanks for eh push to do a better job. Pingback: Have You Ever Needed to Use Your Photo Backup? This is a great idea. All that hard work collated into one easy to find ebook. Good guidance. My PC got almost 10GB of photos downloaded from my digital camera. I’m seriously looking for some good storage kit and this is excellent options I have. There another simple way that you could email it to Gmail (7.8GB) to store your photo. 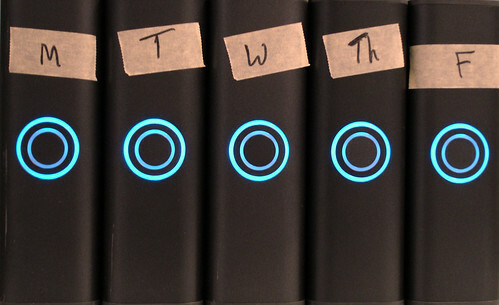 In the ebook section on software, you mentioned that some external hard drives come with backup software, but it may not be the best. I found that to be true. I purchased a "My Book" external hard drive which came with software. I thought I was all set, until I tried it out and found it was not for me. I actually tried three additional backup programs until I found one that was user friendly, easy to use, and worked well with the features that were necessary. Backing up is the most important step after the actual shooting. Thanks for the tips.